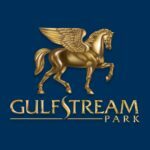 Holiday edition of racing at Gulfstream Park today with 11 races scheduled for today with nice weather and a fast/firm track, let’s make some dough. We are off the turf at GP and the track is currently listed as good. I tried to adjust accordingly, but as always, tread carefully on days like today. Well I hope you are staying warm no matter where you are located as it seems like it is cold everywhere around the country. We are headed to South Florida where the sun is shining and the horses run fast. Let’s hope we have the right ones today. Happy New Year! We are at Gulfstream but off the turf today. I am capped for conditions and have accounted for the scratches as of the time I am posting these selections. Good Luck!